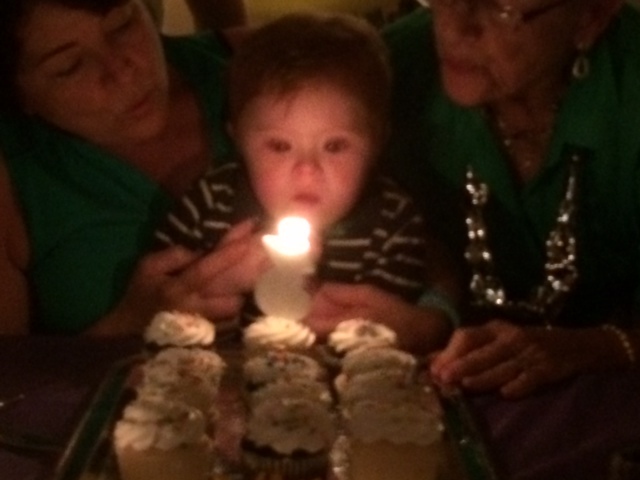 Timothy celebrated his third birthday this weekend in a small private ceremony surrounded by family and friends. 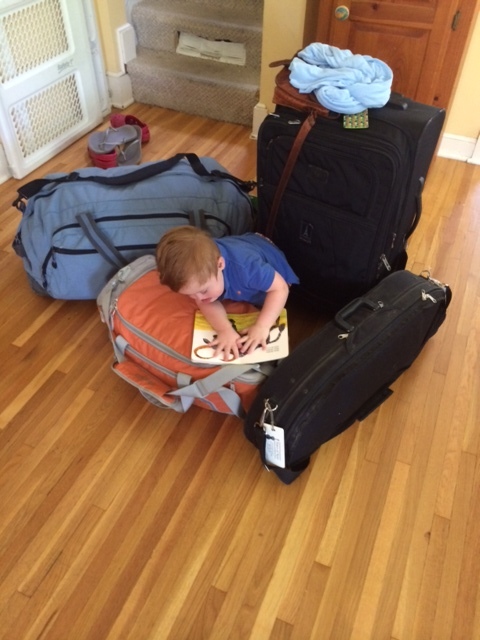 It’s hard to believe that the little amigo is already three, though he’s generously agreed to ease our transition by extending the behavior of the terrible two’s for a few more months. I call this his ‘Dr. No’ phase, since any question would receive a shaking of the head — ‘Do you like these pears?’ (shakes head), ‘Should we read this book?’ (shakes head more vigorously), ‘Will the Twins win their division?’ (shakes head wildly – though you can’t blame him on that one). Fortunately, Timothy has recently exited his ‘Dr No’ phase. And given that the Twin Cities hosted the All Star game this summer, it’s only fitting that Timothy would choose a baseball theme for his next act. Still, I’m not sure I’m crazy about his selection of ‘hitting’ and ‘throwing’ as his newest phases. Suddenly, Dr. No doesn’t seem so bad after all. Interestingly, Timothy’s prior haircut was courtesy of our Italian exchange student, Giuliano. My favorite Italian used that Mediterranean charm to get Timo to sit still for 15 minutes for a cut. After G’s work was done, Laura thought that Timothy’s hair looked good, but was surprised to see that each of the little redhead’s sideburns seemed to taper down to a point. She found that curious, until she looked at Giuliano and saw — sideburns that tapered down to a point. Finally, the Milan runway had reached the Midwest. Last week, Laura took our oldest daughter, Elisabeth, to Mount Holyoke College to start her freshman year. We wondered if it would be hard for us to send our oldest child off to college, but remember that Elisabeth spent last year in India. So let’s see – having our daughter at a small all women’s college just a few states away and we get to see her in October vs. having her spend 10 months in a large city in India? Ummm, I love Indian food and she had a tremendous experience over there, but we’ll happily endure a boring year in the United States. Timothy has music class on Wednesdays with a group of his fellow toddlers. The teacher concludes each class with a warm down exercise. Everyone lies on their side and puts their head down on the ground and pretends to go to sleep. Everyone that is, but our little general, who instead likes to inspect the troops by walking around the circle, kneeling down next to and making eye contact with each well behaving faux sleeping child. Even in music class, we’re marching to a different drummer. 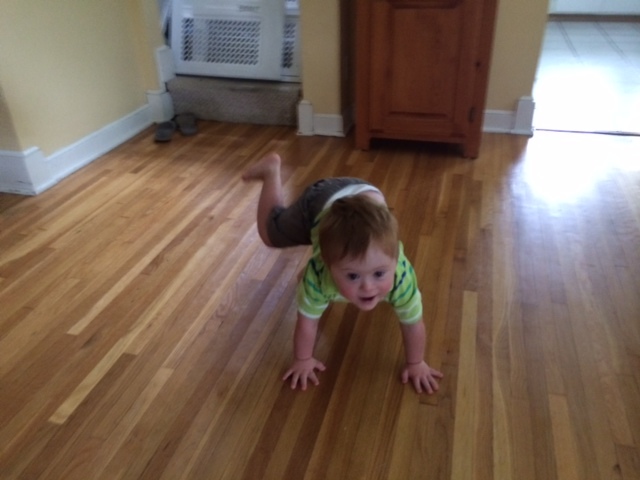 Speaking of music, like his father, Timothy is a dancer. As an Irishman, he prays for rhythm, but doesn’t have the patience to wait for that gift. So when any music comes on, he springs onto whatever can serve as a dance floor and starts spinning and waving his arms. 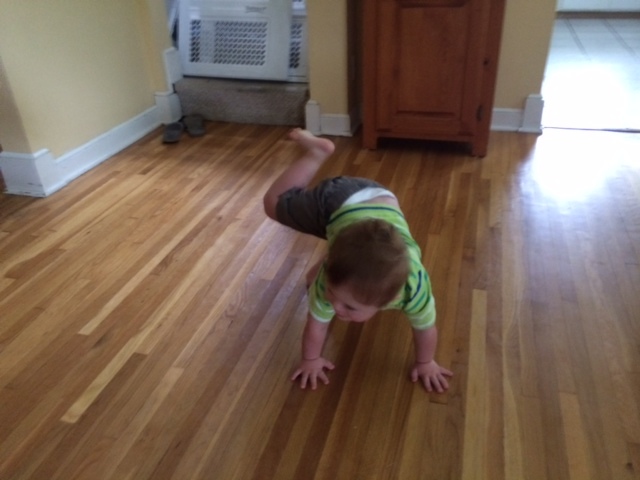 He’s now taken a stab at breakdancing. When you ask him to show his skills, he puts both hands on the floor and freezes his pose, looking like a cross between something out of Zoolander and a dog taking a break at a tree. This entry was posted in grabbing, India and tagged birthday, Breakdancing, Dr No, Dr Timothy/ Mr TRBL, Giuliano, Haircut, Mt Holyoke. Bookmark the permalink. 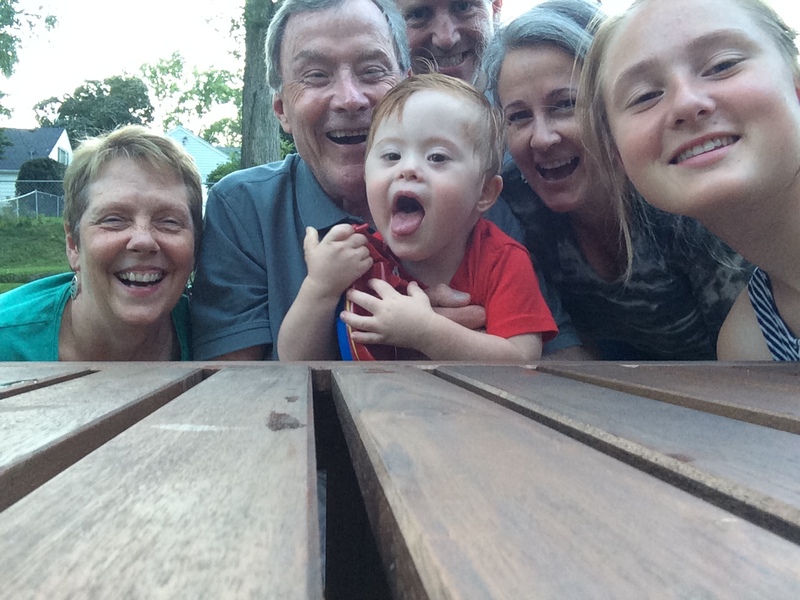 Lil’ Timmy is a unique and wonderful character…as are the members of his family. blessings as the adventures continue. Ohhhh, Jack! You just make my day….. I am laughing and living it all right beside you. 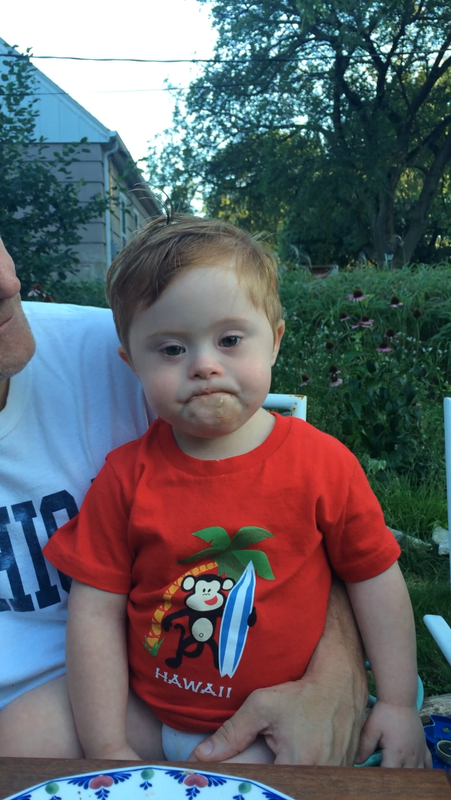 Thanks for letting me share in the wonderful experiences of Timothy’s life. 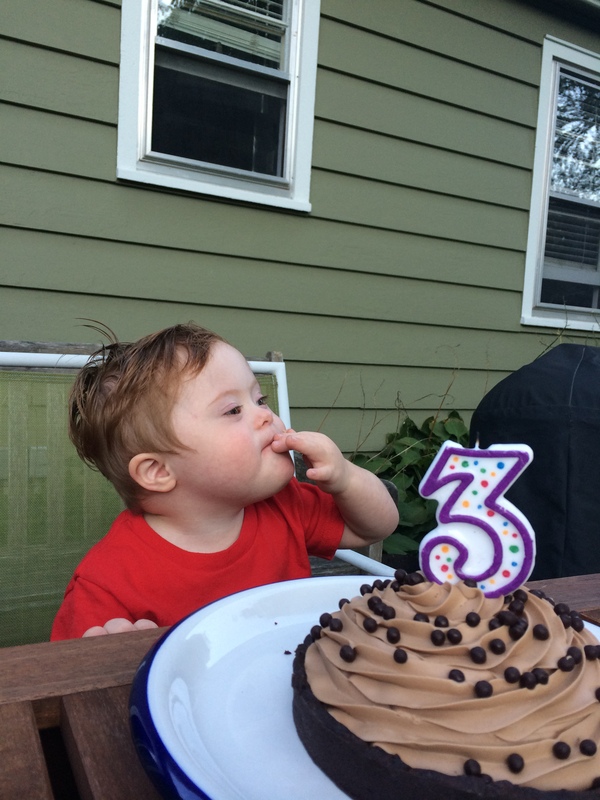 I can’t believe he is three already!